Successfully saved Creamy Tortellini Soup to your Calendar. You can also save the ingredients to your Grocery List. My favorite cozy weeknight soup made in just 30 min! It’s so stinking easy too. 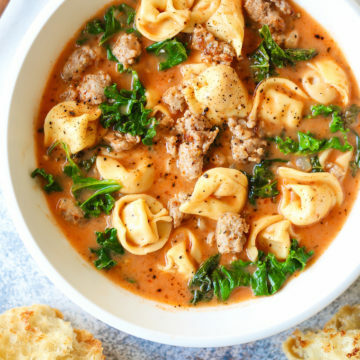 Loaded with tender tortellini, sausage and kale!